For Medicare Prescription Drug Coverage, Open Enrollment happens each year from October 15 to December 7. Open Enrollment is an opportunity for you to switch insurance coverage to a plan that best suits your needs. Understanding Medicare prescription plans can seem daunting, but it doesn’t have to be. The Centers for Medicare and Medicaid Services publishes online tools to help you understand plan changes and provides a 24/7 Medicare hotline (800-633- 4227 and 877-486- 2048 for TTY) to answer your questions. A third option is to talk to a trusted advisor who cares about your family’s health. Let us share what we know to help you make an informed decision about your prescription drug coverage. 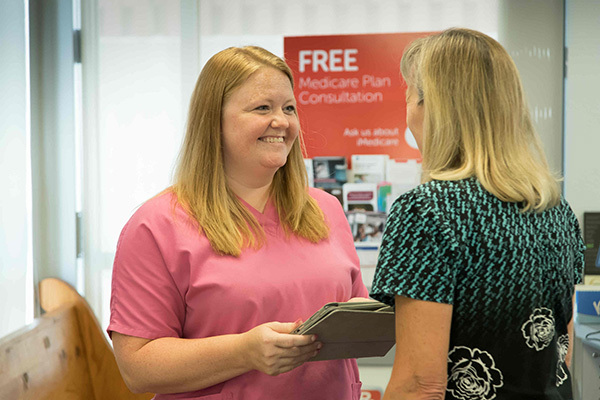 Stop by our pharmacy to talk through your Medicare options. While we can’t recommend a specific plan, our pharmacist can define insurance terms using language that makes sense and discuss how a plan could affect your costs, coverage, and preferred pharmacy.